The service adviser has an important role in the automotive service industry. 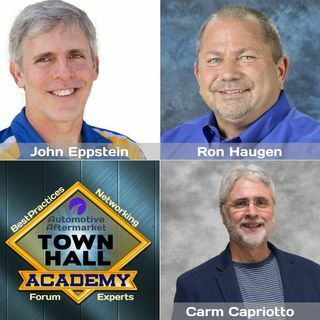 Listen to a discussion with Ron Haugen from Westside Auto Pros in Des Moines Iowa and John Epstein from John’s Automotive Care in San Diego, CA. Why should advisers understand and monitor their benchmarks, establish goals, and have access to them? They need to be able to connect with a broad range of people and personalities to include the customers, fellow coworkers and vendors. Service advisers also need to be ... See More able to stay calm under pressure and handle all the minor details. Many more learning moments presented by your industry colleagues.